These are excerpts from "How to taste the true beauty of Salah" by Mishari Al Kharraz. Did you ever think why do we start our prayer with Allahu Akbar (Allah is Greatest) and not with Subhan-Allah (Glory be to Allah)? Realize that when you say Allahu Akbar you affirm that the one before whom you are standing is greater than anything occupying you at that moment — greater than your sleep, your families, your bills, and your worries. Just imagine that when you say Allahu akbar while raising your hands you are throwing all of that behind you! When you stand to pray, Allah commands: Raise the veils from between Me and My Servant! As soon as you say Allahu Akbar and start your prayer, Allah sets His beautiful face to yours and doesn’t turn away from you, unless you do. When your thoughts or your sight drifts off, He orders the veils to be drawn back down. Visualize these veils being lifted to keep concentrated with your heart and body. Are you still drifting? This is why you repeat the great words Allahu Akbar as you move into each position; it’s a reminder and a new chance again and again to focus! Subhana kallahumma wa bihamdika, wa tabaarakasmuka wa ta’alaa jadduka' which means, "How perfect You are O Allah, and I praise You. Blessed be Your name, and lofty is Your position and none has the right to be worshiped except You." What has brought you to stand here right now? 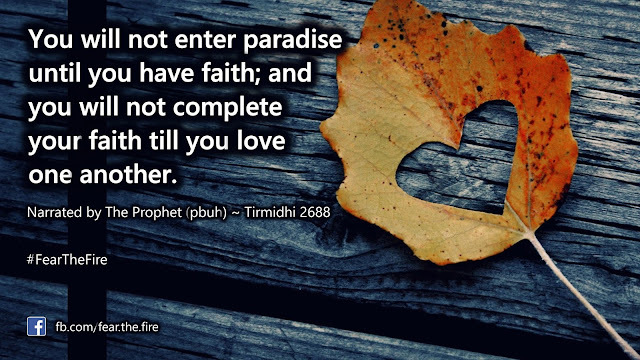 It is your love and longing to be with Allah. And when you meet up with your beloved, what do you first say? The sweet sound of the beloved’s name, the name that blesses everything it falls upon! Feel the Bismillaahir-Rahmaanir-Raheem soothing your heart as it gently rolls off your lips. The Prophet (pbuh) told us, “Alhamdulillah fills the scale!” [Muslim] Really feel gratefulness when you say Alhamdulillah. Did you see those documentaries where they zoom out from the cells of a plant’s leaf all the way to the planets and galaxies? Now instead of that leaf, start the zoom out process with the image of yourself standing before Allah. Then zoom back down, back through the universe, to the place you are standing in prayer. The next time you pray view yourself from above and far away and truly taste the meaning of Rabbil aalemeen (Lord of the worlds)! Check this article for some more details. Have you ever wondered why Allah’s names Ar-Rahmaanir and Ar-Raheem (The Most Gracious and The Most Merciful) come before Maaliki yawmid-Deen (Master of the Day of Judgement)? 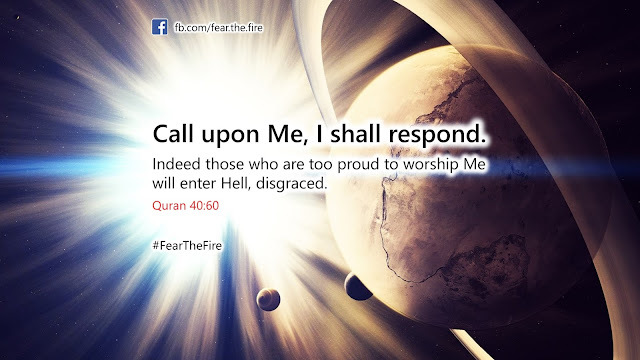 Be reminded that it is the Most Gracious and Merciful who will judge us on the the Day of Judgement! So feel empowered and comforted when you say Ar-Rahmaanir-Raheem and then pause a moment at Maaliki yawmid-Deen, realizing the horrors of that Day. 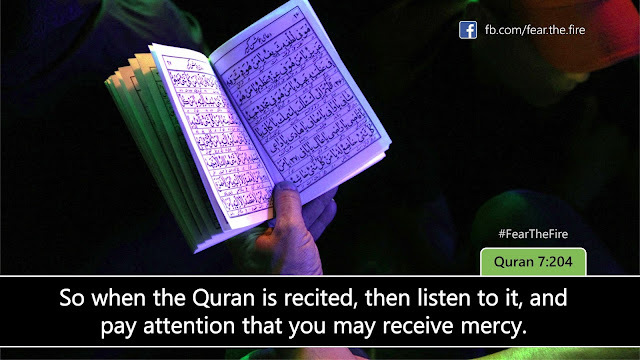 Read the article on Qiyamah here. It means, 'You alone we worship, and unto You alone we turn for help'. Let this remind you to make Allah alone your focus, not the people. So when you are asked, why did you do this or that (deed), you can firmly answer: for Allah! Feel this ayah by knowing that the Sahabah used to weep for hours reciting it. One of them was once praying in Mecca. His friend went ahead and did the Tawaf and when he returned to him, he was still at this verse, repeating it and crying, until the sun came up. 10. Feel the bond with your Lord. When you say subhana Rabbiyya- al-‘atheem (How perfect My Lord is, The Supreme) in ruku’, focus on the pronoun that means my (in Rabbi). It adds that element of bonding: He is My Lord, who raised me in His care and who is nurturing me. Know The Prophet (pbuh) and the Companions used to be in the bowing position as long as he would be in the standing segment of Salah. One companion said that he recited Al Fatiha, then Al Baqara, Ali Imran, An-Nisaa’ and Al Ma’ida, and the companion Abdullah Ibn Al Zubair was beside him, still in his ruku’! 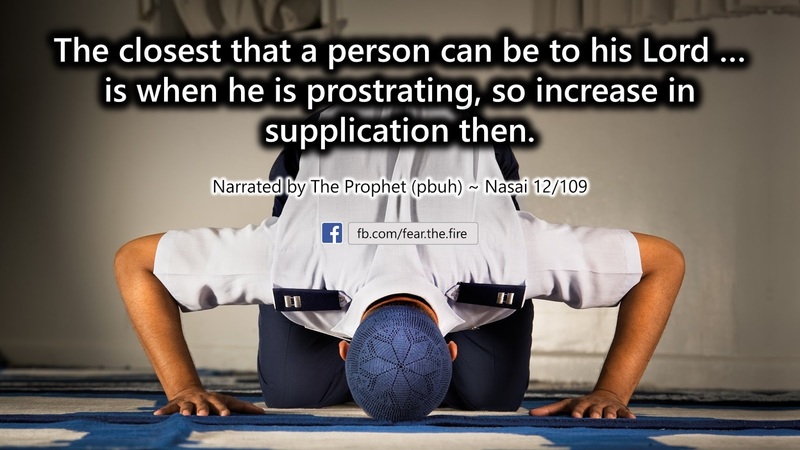 Imagine you are being raised one degree in Paradise with each sujood and a sin falls off you with each prostration. Prostrate with body, heart, and soul and taste the sweetest feeling in the world! After the words of the tashahhud (sitting position at the end of prayer) and before the Tasleem (saying salaam to indicate the end of prayer), there is a precious moment many waste! When The Prophet (pbuh) taught Abdallah ibn Masood (ra) the Tashahhud he said: … Then let him choose whatever supplications he wishes. [Al-Bukhaari, Muslim]. Just before you say tasleem, make at least three heartfelt dua’s to benefit from this treasure chest instead of rushing to say the Salaam! Six voluntary prayers in Islam that assures Paradise.